Last year I undertook a self-imposed challenge of #365daysofvegetables (mostly successfully) and the first question people always asked was "have you gone vego?". But this wasn't about what was cut out – rather, crammed in. Vegetables are fantastic. They're vibrant, vibrate with life, eating them makes you feel vivacious, and you can get away with a super satisfying dinner for two at a swanky place for about half the price of those T-boners around you. I've always been of the opinion that you can tell the cut of a cook's jib by the way they treat their plants. So it's no accident that many of my most memorable vegetative variations are on the menus of Melbourne's most interesting eateries. What's more marvellous still, is that we seem to be past the "just burn it and add something creamy" phase, with vegetables being given the prime cut treatment – sometimes seared, sometimes ceviche, whacked over coals, roasted for hours, complemented by zingy acidity, complex bitterness, crunchy bits, seasonal freshness and (most importantly) maximum flavour. Root to stem is what you'll find in many of these dishes, adding depth, dimension and dirty eating back to the dining scene. The best part about this dining direction is that it showcases techniques and combinations that are often far more affordable and achievable to recreate at home, which means that this isn't just food for now, it's food for thought! At Joseph Abboud and Ari Vlassopoulos' "Bar/Restaurant of Middle Eastern Appearance", they source their veg like they do meat and fish. The meaty treatment is extended to how the vegetables are cooked, too. Beetroot is steamed for tenderness, then skewered and barbecued over coals on the robarta grill like a shashlik. 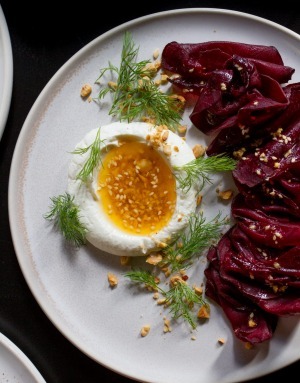 The house-made labna oozes like an egg with St David dukka butter as soon as you scoop into it with your beet meat. You can't have a list like this without at least one mushroom dish, because these fun-gis are the kings of umami, the most important taste to get right when it comes to meat-free menu magic. This one's a bit of a sleeper – in fact, I'm pretty sure it's not even on the menu and needs to be asked for specifically. Unctuous, exotic mushrooms, peeking out from sheets of fine slippery rice noodle, drenched with Lau's special sauce blend. A meal in and of themselves (add a side of the best seasonal green stuff in town). 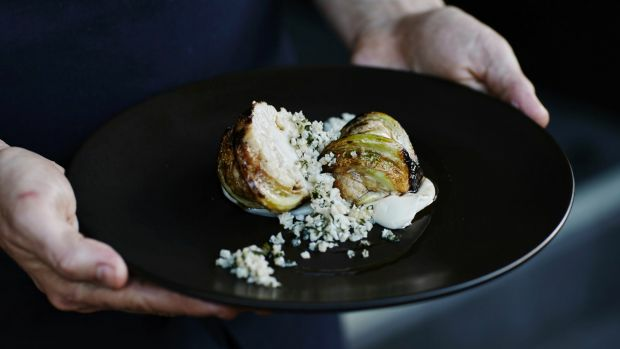 Move over meat pie, because the tradies of Nicholson Street are going Golly for Cauli. "There's one guy who's coming in for two drinks and a Shazza every day". A general rule of thumb with pies is that if the filling's made from last night's leftovers, you're onto a winner. 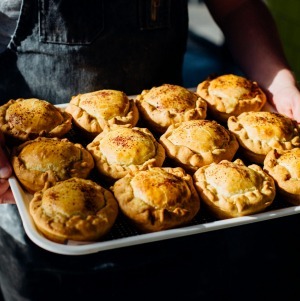 Shazza's innards would be just as comfortable in a baking dish as they are in a pie: soft pieces of roasted cauliflower and potato, tasty 180 Acres Cheddar, onions caramelised until bacon-y, ensconced in buttery pastry that holds its shape all the way to the last bite. Add to the freezer for midweek midwinter dinners, or stop by on your way to the building site for two ginger beers and a Shazza. It's fair to say that Ben Shewry has a penchant for pumpkin. Every part of this gourd is glammed in this dish, even the bits that usually end up feeding the chooks. Flesh is steamed overnight until it yields at the mere mention of a spoon, seeds are roasted audaciously dark and pressed into pumpkin seed oil. Even the skin is dried, crushed and fried until crispy, pumpkin juice is distilled, combined with Loch brewery yeast, and stirred through airy Pyengana cheese water cream, quenelled at the table, as if by magic out of a whole pumpkin. Middle Eastern cuisines have always vigorously embraced vegetables, which is why green-fiends are so often found in establishments heaving with hummus. 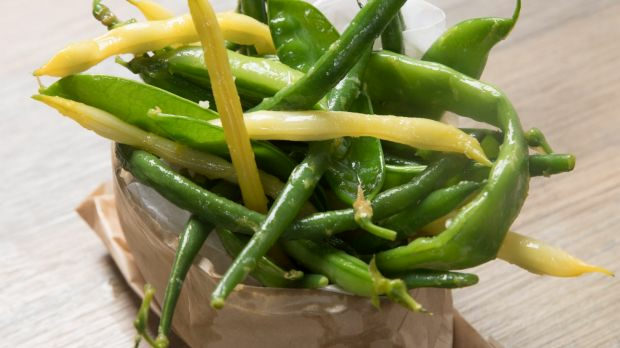 I think about this dish at least once a day, and have finally cracked the code of blanched green and gold beans seasoned with lemon juice, zest, garlic and Mount Zero olive oil, BUT their seven-bean blend (featuring snake beans, butter beans and snow peas with tendrils!) and pita party vibe keeps me descending into Miznon's depths. It's a good thing Embla's opening hours are so, well, open, because this is my pick for "where to go when you don't know where to go, or what to order when you get there". Verheul lets his chickpea pancake batter bubble away overnight and hits it with searing wood-fire temperatures. 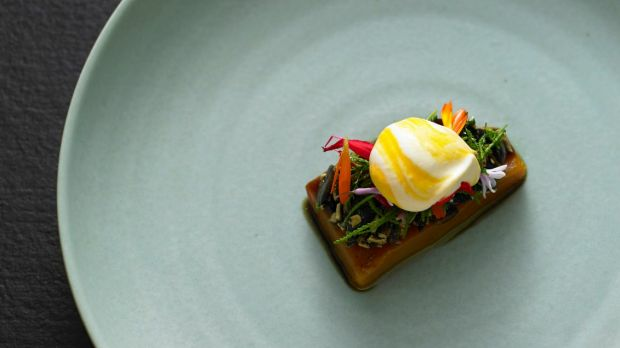 A flapjack of fluffiness, topped with slivers of nutty raw Jerusalem artichoke and a generous smattering of dressed parsley, that, rather than being a whispy afterthought, adds texture and freshness to an already knockout dish. The kicker? A snowfall of shaved comte to finish. Trust an Italian to know his way around a head of radicchio. Grossi's unapologetically bitter whole-roasted rendition gets the meat-treatment too, seared in a pan on high, then splashed with his own Arbequina-Leccino olive oil, before being whacked in the oven like a rib-eye. Though usually twisted out of the picture, it's the softened stem that I most enjoy getting stuck into, generously adorned with chunky golden breadcrumbs, ribbons of parmesan and fresh parsley. Buonissimo! This is my choice of cauliflower dish in Melbourne right now. Baby caulis from a specialty grower in Werribee (I'm picturing someone in an akubra singing sweet lullabies between rows) brushed with St David butter and cooked in a Green Egg until smoky and forking soft. A puree of cauliflower is kept sweet and light by chopping florets extra small and cooking them in nothing but butter until whizz-able. Finished with a lemony cauliflower cous cous, this dish is cauliflower cubed. My kinda maths. 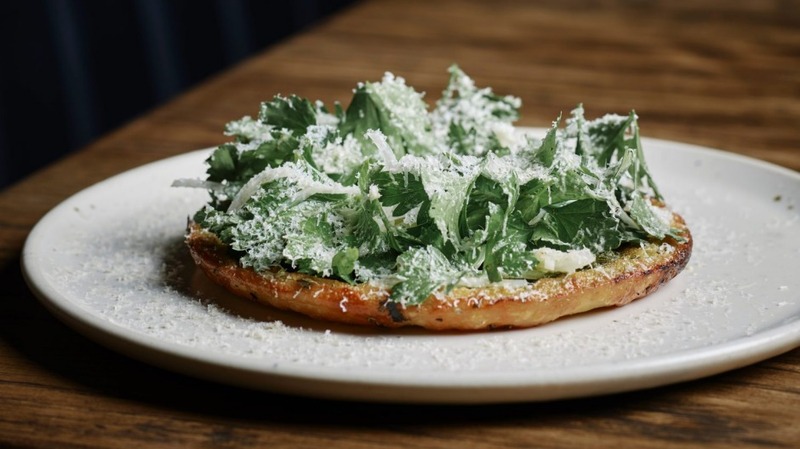 Although the accoutrements adapt with the seasons (as per everything on Stone and Barrett's kitchen garden-driven menu), "there will always be a potato skin dessert," says Barrett. That's because there'll always be plenty of skins to steep, thanks to the hand-cut chips that never leave the menu (lest the locals revolt). "I used to look at all the peels that ended up in compost, and one day thought I'd give them a go in a dessert," Barrett adds casually. The rest, well, you know. The right-now rendition – chocolate crumb, fresh-churned latte ice-cream, orange marmalade – is best summed up by the great wordsmith, Christina Aguilera: Mocha chocolata, ya ya. Creole Lady Marmalade. Alice Zaslavsky co-hosts a monthly Vegetable Segment on ABC Radio Melbourne. Her digital food education program for schools launches later this month.